“My loved one went to war. Someone else came home.” A warrior returning from combat is changed in a number of ways. One part of the change is the psychic/emotional numbing that happens in combat. I believe anyone who returns from combat and isn’t depressed just wasn’t paying attention. Depression is an unfortunate part of emotional numbing. As a combat survivor from Vietnam, the problem I had with depression was that I did not know that I was depressed. This is not uncommon. Depression comes in a variety of sizes. My size was boredom. Once I got out of the army, trying to live as a “civilian” was incredibly boring. The things people talked about: boring. My civilian job: necessary, but boring. A children-centered family life, which people around me seemed to have: boring. No, I did not want to go to a parent-teacher conference. There is also a connection between depression and “adrenalin addiction” which is common among combat survivors. Sometimes, when you look at a warrior with post-traumatic stress, you have a sense that “nobody is there.” The eyes are vacant. There is no movement, except perhaps a bent leg moving up and down like a piston. You speak the person’s name. No answer. You try again, speaking the name louder and with some concern. Then you freeze in place. Your loved one blasts to their feet, glaring at you with intense anger and is on the edge of becoming extremely violent. That’s not normal, right? The reality is that, for a combat survivor, it is normal. This was my version of what was going on inside of me when my wife would “startle me” or unknowingly did something that triggered my PTSD. I did not consciously think through any of what happened next. In situations like these, when I finally heard my wife saying my name, I immediately felt incredibly vulnerable. I had not been aware of my surroundings! Realizing that I was vulnerable scared me. A massive adrenalin surge (just like I felt in combat) went through me. The terror of being vulnerable instantaneously transformed into combat rage. I was ready for combat, and any bit of depression I may have had was gone. Sometimes this sequence happened when I was alone, when I recalled a vivid memory. Except it wasn’t just something I was remembering. It was an event I was reliving. I seemed to be especially susceptible to these events when I was driving. It wasn’t road rage directed at anyone. It was more like being threatened by some “presence” that I could not see. My foot slammed the accelerator to the floor and it stayed there until reliving the event went away. I did hear growls and roars and screams, though. Those were mine. This brings us to a very important point about recovery from combat-induced post-traumatic stress: veterans remember. Survivors relive. The effects of combat PTSD on a warrior’s family can range from disruptive to extreme. Help and healing are available. If the effects of a warrior’s combat experience are a concern for your family, please contact us. Our providers are experienced working with the unique culture of the military. Several are former military. 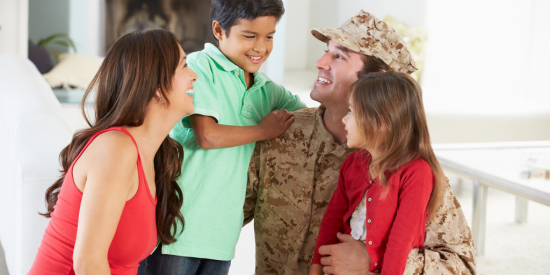 Learn more about the services offered nation-wide by Centerstone Military Services. 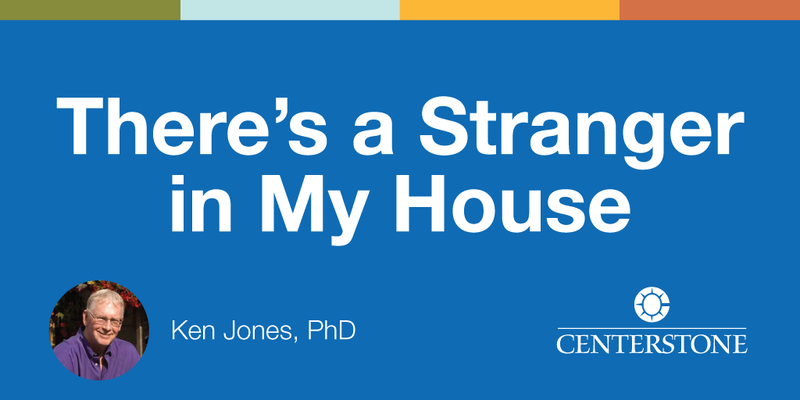 Ken Jones is a Vietnam combat veteran (11th Cavalry 67-68), a speaker, an advocate, and a writer. His focus is recovery from combat induced PTSD. Supporting our troops, veterans, and their families as they work their way through recovery from PTSD drives Ken to be actively engaged on Twitter, Facebook, and other social media venues. Although he served eight years as a volunteer and staff counselor at the Anchorage Vet Center, he is not a clinician. His comments and observations are based on his own experience of living with combat induced PTSD for the past 40+ years.